The smaller twin of the Classic 500, the Classic 350 will hold its own against any other motorcycle and then pull some more. The Classic 350 shares its powerplant with the Legendary Thunderbird. The torque to flatten mountains and the fuel efficiency to cross entire ranges comes in the same understated yet charming styling. Why ride a lesser bike. Nothing more to be said. Kudos to re for launching the classic as promised unlike other times when they keep delaying launch of new products. I hope they follow it up with proper after sales services and hope there are no spare parts problems as we face many times with the other existing models. Man to be honest am really confused..I want 500 but i don’t know if its right..I just wanna see some reviews so probably will wait for some reviews ..
Until then am stuck up making my decision between 350 and 500 !! 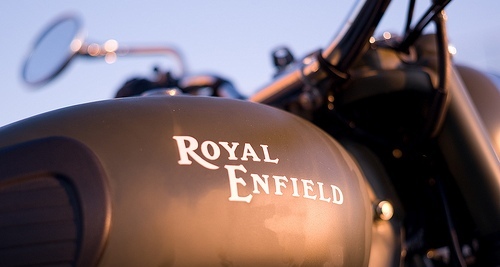 I WANT TO BUY ONE ROYAL ENFIELD CLASSIC 350.HOW IS THIS BIKE IN TERMS OF RIDING COMFORT,MAITENANCE COST,MILEAGE & DURABILITY.PLEASE SUGGEST ME,WHICH IS THE BEST BIKE AMONG ROYAL ENFIELD-Classic350,Electra & Std Bullet.MY REQUIREMENT IS 60 KM/DAY FOR 5 DAYS/WEEK IN MUMBAI CITY HIGHWAY.THANK YOU. I AM TOO KEEN TO BUY RE CLASSIC 350 AT THE EARLIEST IN MUMBAI.BUT, THE WAITING TIME FOR IT IS 8 to 10 MONTHS.CAN U PLEASE GUIDE ME HOW TO REDUCE THE WAITING PERIOD FOR CLASSIC 350.THANK YOU. I would like to know the performance and top speed of classic 350. actually i had heared that classic 350 shivers like hell after 80km/hr and its performance goes down instantly after 3 months, is it true or fake.????? I will be very thankful to you if you please to reply me, actually I had already booked classic 350? After waiting for almost 27 yrs I became the proud owner of a CLASSIC 350 in last month, but to my shock and disappointment,it gave me trouble at my first hour of riding out of the showroom as the oil level indicator on the engine which is situated on the right side just above the right leg support went like a bullet from the gun to hit the road with a loud noise and the vehicle was spraying all the engine oil on the road and the passersby to my dismay and puzzle. (remember, I was just couple of kms away from the showroom)it took sometime for me to understand what went wrong and regain my control and after a couple of calls to the showroom manager on his cell and few hrs waiting in a shop veranda in a peak monsoon evening, two of the mechanics picked my vehicle to the service center offering the vehicle delivery in the next day evening after their check up. I don't think any one can imagine how I spend my whole night explaining and trying to calm myself and seeing my teen son was cursing the whole service center team of RE saying how could they deliver a vehicle in such manner. It was not a convincing attitude or reply I could see when in the next day evening i went to collect my vehicle. As per their explanation, the tube which goes to the engine which works as a engine breathing was bent and due to this, the pressure build up inside the engine cause the rejection of the oil level indicator since it is the delicate part with a glass top. Guys, somehow I still could not convince on their explanation, why because the sales team member drove the vehicle for almost 40 kms before my attempt to drive home and I was past the showroom just 3-4 kms. Any way after that incident my bull never made me disappointed and I am really happy with my bull. To those who still stumbles on the decision to go for an RE, FEEL THE BULL TO FEEL PROUD!!! @Reji congrats for your new possession !!! I just booked my RE350...i have never drove one and dont need a test drive either...the first ride will be on my own RE. @ anonymous awesome dude...we'll wait for your you to share your experience with us!! hw much it will coat me for ROYAL ENFIELD BULLET CLASSIC 350 through CSD?